Highly contagious and deadly for children under age 5, diphtheria appears to be in close proximity to the USA. Venezuela, Haiti, and to some degree Brazil, have reported 204 suspected or confirmed diphtheria infections during 2017, according to the Pan American Health Organization (PAHO). Since July 2016, Venezuela has reported 447 suspected diphtheria cases, of which 51 were confirmed, along with 7 deaths. Of the patients with lab-confirmed illnesses, 78% hadn't received the complete vaccination series, and 15% were unvaccinated. In Haiti, only 18.2% of the confirmed cases were vaccinated, and 27.3% were unvaccinated. The United States recorded 206,000 cases of diphtheria in 1921, resulting in 15,520 deaths. Starting in the 1920s, diphtheria rates dropped quickly due to the widespread use of vaccines. 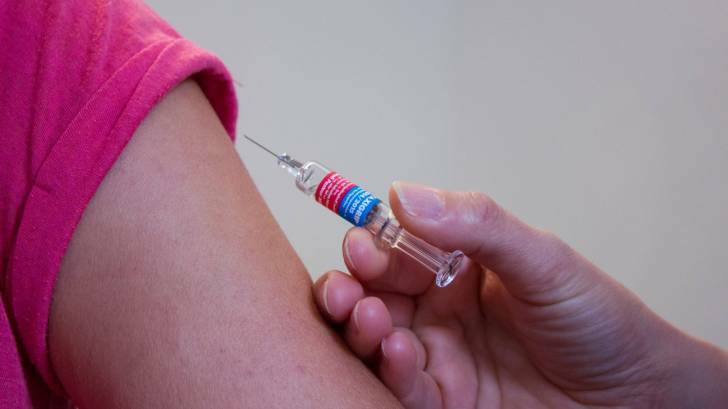 Between 2004 and 2015, only 2 cases of diphtheria were recorded in the United States, according to the Centers for Disease Control and Prevention (CDC). In the United States, there are four vaccines used to prevent diphtheria: DTaP, Tdap, DT, and Td. Each of these vaccines prevents diphtheria and tetanus. DTaP and Tdap vaccines also help prevent pertussis, commonly known as whooping cough. Two of these vaccines, DTaP and DT are given to children younger than 7 years old, while Tdap and Td are given to older children and adults. Equine diphtheria antitoxin (DAT) is the mainstay of treatment and is administered after specimen testing, without waiting for laboratory confirmation. DAT is available to physicians under an investigational new drug protocol by contacting CDC at 770-488-7100. Diphtheria can be treated and cured successfully with antitoxin and antibiotics if started early enough. An antibiotic (erythromycin or penicillin) should be used to eliminate the causative organisms, stop exotoxin production, and reduce communicability. Antimicrobial prophylaxis (erythromycin or penicillin) is recommended for close contacts of patients. Diphtheria’s name originates from the Greek word for “leather hide,” a reference to the gray, leather-like coating left behind in the nose and throat areas generated by the toxin diphtheria bacterium. This pseudomembrane appears within 2–3 days of illness covering the mucous lining of the tonsils, pharynx, larynx, or nares and can extend into the trachea. The pseudomembrane is firm, fleshy, grey, and adherent; it will bleed after attempts to remove or dislodge it. Fatal airway obstruction can result if the pseudomembrane extends into the larynx or trachea, or if a piece of it becomes dislodged. Diphtheria is passed person-to-person through oral or respiratory droplets, close physical contact, and rarely, by fomites. The incubation period ranges between 2–5 days. According to the CDC, the overall case-fatality rate for diphtheria is 5%–10% when treatment begins soon after diagnosis.